We offer first quality Hook and Loop at competitive prices. Hook and Loop does not break down, rot, or attract mold, and it could be produced in various thickness and color. We offer pressure sensitive, sew-on and specialty Hook and Loop. 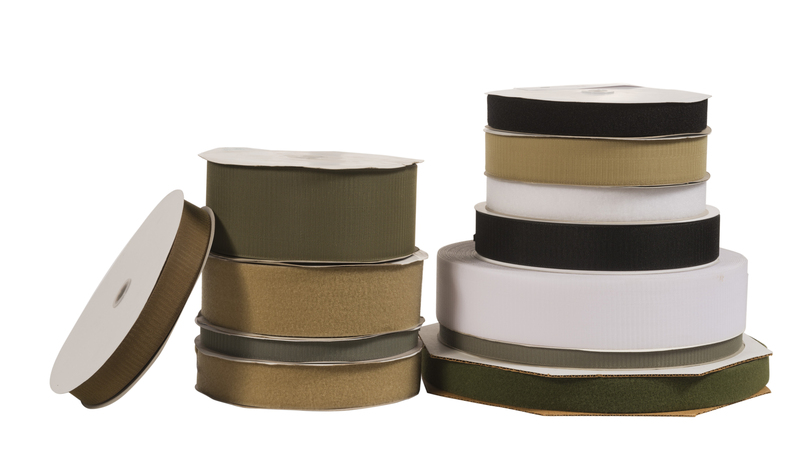 Variou s widths and colors are available. Looking for something we may not stock? Specialty Hook & Loop products, to fit almost any need are available on special order. Occasionally we have some pspecial order products in stock. Contact our Sales and Customer Service Team for a list of what is currently in stock. The applications for hook and loop are nearly endless. Listed below are just some of the industries or products that use our hook & loop. Read our blog posts related to hook & loop.